This Barefoot International B204V Driver Side and B111 Kids Handle are meant for a Vdrive boat with a rear pylon in front of the engine and behind the rear seat. This pylon must be a reinforced ski pylon. If you are not sure for any reason, call Mike Seipel at 561-523-1947 before ordering. The B110 boom extension is for getting kids out of the <a href=”http://www.thefootersedge.com/chine-spray/” rel=”noopener” target=”_blank”>chine spray</a>. The B107 Height adjuster is optional but is good for lowering the boom for the kids. The Barefoot International B204V Driver Side and B111 Kids Handle can be used on DRIVER’s side ONLY. There is no right or wrong answer. I personally prefer DRIVER’s side because I drive and teach at the same time and prefer to be as close to the skier as possible. It is OK if you prefer the other side of the boat. Although this video below is for our Universal Contour Boom, the setup for your Vdrive Boom is almost identical and we will walk you through the process to make sure you get setup quickly and safely. 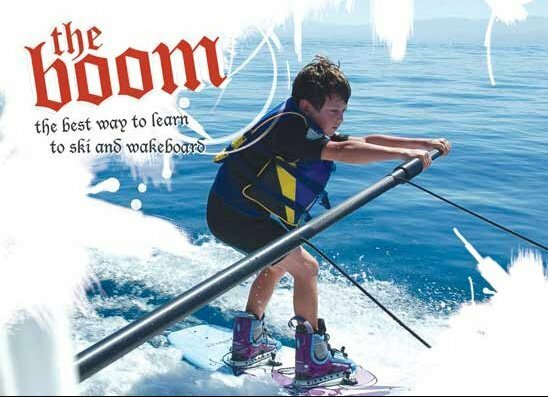 This way we can be sure that your boom will last as long as your boat will. The memories you create with your family will be mazing!